We are always looking for interesting ideas. 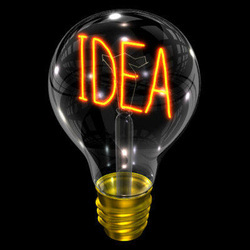 If you've got a great idea in that noggin of yours and you would like to see it made... let us know. Who knows, we might just help you bring it to life. Maybe you want to get in on the fun and would like to join the KreazHead crew. We are looking for actors, writers, people with nunchuks and mad ninja skills, producers, directors and anyone who wants to have fun and make non-pornographic films. Or, maybe you want to let us know what you think, thats cool too.